DairyNZ works with Northland dairy farmers on a range of projects to ensure regionally-relevant information is available and farmers have access to forums to discuss issues unique to Northland. Follow the progress of these projects to help inform your own decisions. Farmers in Northland are taking a ‘two heads are better than one’ approach as part of Extension 350, a project to help lift the performance of farm businesses in the region. Extension 350 was launched in 2016 to help farmers in the region share knowledge and gain access to specialist advice. The project forms clusters of farmers with each cluster consisting of five target farmers who work one-on-one with a mentor farmer and a consultant to achieve a range of goals. Once the cluster is set up five associate farmers are invited to learn alongside the target farmer (see the map of local clusters below). Extension 350 is partly based on the Northland Focus Farm, owned by Alister and Lyn Candy, which wrapped up in 2014. The Candys increased their annual profit by $185,000, assuming a $6 kg MS milk price, over the three years they were involved in the project. For a checklist that the Candy’s followed see the checklist in the sidebar. Extension 350 is supported by Ministry for Primary Industries, Northland Regional Council, DairyNZ, Beef + Lamb NZ and Northland Inc (Northland’s regional economic development agency). To get involved in the project email chris.neill@dairynz.co.nz. The Northland Dairy Development Trust was formed in 2006 to support farmers in securing quality dairy research relevant to Northland. The Trust is a joint initiative between NARF and Fonterra, with considerable support from DairyNZ. 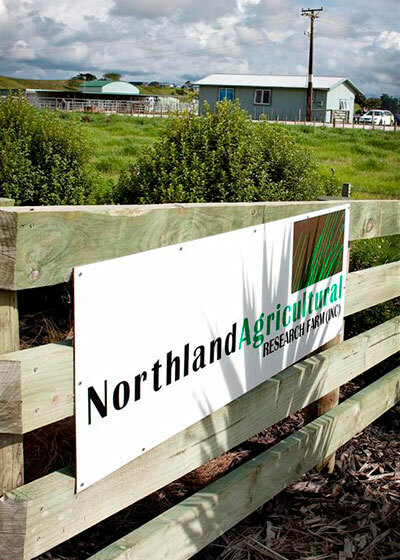 NARF, the most valuable venue that NDDT uses to conduct research, is operated as an Incorporated Society, owned by all Northland Dairy Farmers and managed by an executive committee of Northland farmers and rural professionals. Farmers and industry members are encouraged to attend the fortnightly farm meetings and join the discussion and debate on the current and future management of the farm. Research has been farmer driven and has covered a range of dairy farm issues. For more information on all the Northland Dairy Development Trust research click here.